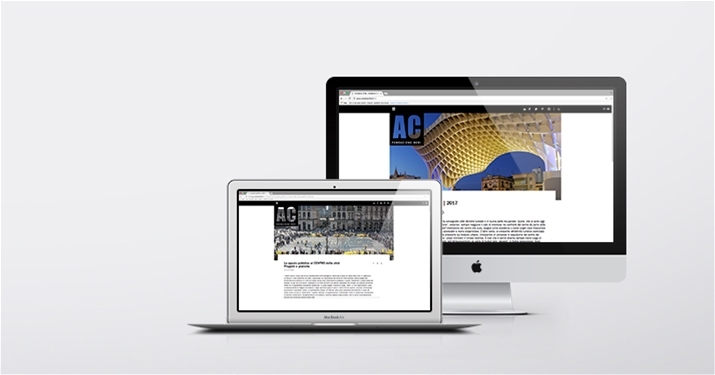 The new website dedicated to "Arredo & Città", the biannual magazine of Fondazione Neri focusing on initiatives, debates and research related to design and stylistic evolution of the furnishing and lighting elements conceived for the city is now online. Since 1988, through in-depth monographs and rich photographic repertoires the magazine has featured conservation and enhancement of urban legacy, a real cultural heritage of fundamental interest both for historical investigations and design. Through the new website, all the issues from 1988 can be read and downloaded (in PDF format). The homepage always features the last issue with the presentation of the main article along with a series of insights that do not appear in the magazine. The blog linked to the magazine is also accessible via new website, a constantly up to date resource that elaborates on the themes the Fondazione most cares about.